Approved by the SEJ board of directors 1/10/98, revised 7/18/98, rewritten 7/13/02, rewritten and approved 7/31/10. A. 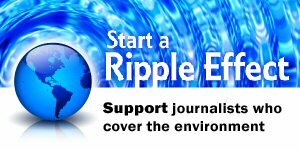 Seek to keep SEJ's membership as open as possible in accordance with SEJ’s bylaws and in pursuit of SEJ’s mission: To strengthen the quality, reach and viability of journalism across all media to advance public understanding of environmental issues. B. 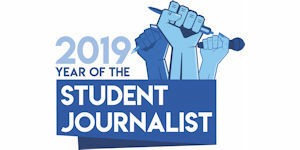 Consider whether an applicant is creating original and independent works of journalism, while not judging the quality of such work (as SEJ is an educational organization rather than a credentialing agency). A. Journalism is a discipline of collection, investigation, verification, interpretation and communication of facts that provides the information members of the public need to make important personal, professional and social decisions. It seeks to gather and convey a fair, accurate, and independent account of the meaning of that information as transparently as possible, free of obligation to any interest other than the public’s right to know. Journalism may reveal corruption, illegal or unethical behavior, or other social ills, and may at times advocate for reforms. However, its discipline of fairness, verification and independence is what separates their work from other modes of communication, such as propaganda, public relations, lobbying, fiction or entertainment. That discipline also underpins journalists’ credibility and enables them to serve as an independent voice. B. Lobbying is professional work primarily designed to influence legislation or government regulations or public policy on behalf of a person, business, organization or government. C. Public relations is professional work promoting the views, activities or interests of a person, business, organization or government. It can involve a variety of activities employed to establish and promote a favorable relationship with the public, as well as planning and implementing efforts to influence or change public policy. Public relations often involves media work, such as developing and issuing press releases, organizing and carrying out press conferences, and serving as a liaison with journalists. It can also include activities designed to influence public opinion through the use of social media, including websites and such tools as Twitter and Facebook. D. News outlets are journalistic products that are available to the general public. Examples of qualifying news outlets include TV or radio stations, newspapers and magazines that are available on newsstands, and Internet-only news sites. They can be free or available through subscription or unrestricted membership -- that is, membership open to anyone. E. News organizations are distinct corporate or operating entities dedicated to producing journalism. They may advocate for particular positions or issues (e.g., editorials and opinion pieces), but they do not lobby or conduct public relations other than on behalf of the interests of journalism itself. News organizations must also be transparent in their connections, financial and otherwise, to entities with a private interest in the issues being covered, and maintain structures and policies that protect their editorial independence from the influence of such entities. F. Employers are individuals and organizations who exercise editorial control or influence over the journalism process. Employers may include the individuals or organizations that hire journalists. Individuals and organizations that financially support a news organization or a work of journalism are also considered employers in the absence of a verifiable editorial firewall or transparent disclosure of financial relationships. iii. Be independent authors or producers who disclose their funding sources and retain editorial control over the majority of their work, consistent with the definition of journalism and news organizations outlined in Section II. ASSOCIATE members are substantially engaged in journalism for news outlets or work in fields that closely relate to journalism, yet are ineligible for active membership, either because journalism is not their primary occupation or because their employers lobby or conduct public relations work on the environment (and thus are not news organizations). Examples of potential ASSOCIATE members include: people for whom journalism is a secondary occupation; officials at journalism organizations; part-time faculty at universities; staff journalists who work for -- or freelancers and authors who get most of their income from -- non-media corporations, government agencies, environmental advocacy groups or universities; and independent journalists who do not disclose their funding sources and/or who do not exercise substantial editorial control over the majority of their work. ACADEMIC members are students at a university or other accredited school with an interest in environmental issues or environmental journalism, or full-time educators on the faculty of such an institution. University writers and other university staff are not eligible for ACADEMIC membership, but may qualify for ASSOCIATE membership if their jobs do not involve public relations or lobbying. HONORARY members are appointed by the board to recognize outstanding and distinguished service to SEJ. Honorary members are exempt from eligibility policies that apply to other membership categories. Nominations for honorary membership may come from any SEJ member and shall be considered at one board meeting and voted on for approval at a following meeting. Access of HONORARY members to SEJ programs and services may be limited at the discretion of the board. HONORARY membership status may be revoked at the discretion of the board. Applicants will be notified promptly if their application for membership is denied. Members will be notified if their membership is to be reclassified or not renewed based on ineligibility due to changes in jobs or job duties, or if their membership is to be terminated for cause. A. Termination for cause: Membership may be terminated for cause if a member has failed to be honest and complete in filling out application forms and in answering annual surveys and other inquiries, misrepresented her or his job status, or otherwise violated rules or policies of the organization, including but not limited to intentional misuse of on-line services such as an SEJ listserv or member directory. Opportunity for a Hearing: If within 60 days of notice by SEJ, a member facing termination for cause requests a hearing, as stipulated in the Bylaws, the hearing shall be conducted before the Board of Directors at the subsequent board meeting, if possible, but no later than the second board meeting following the date of the original termination notice. The member has a right to bring an attorney or other representative to the hearing. The member bears the obligation for his/her own travel and other expenses related to the hearing, including the cost of legal counsel. Whether or not a hearing is conducted, the final decision shall be made by the board members present at a legally constituted meeting, with a two-thirds majority vote necessary to terminate a membership for cause. B. Non-renewal/reclassification of membership: Members must report any employment change that could affect their membership category or eligibility. Members who become ineligible for SEJ membership or who are subject to a change in membership status based on a change in jobs or job duties, shall have the opportunity, within 30 days of notice by SEJ, to present countervailing written evidence prior to any final decision by the board or its designee (typically the SEJ membership committee). Non-renewal or reclassification of membership is an administrative action, enforcing the eligibility provisions of the Bylaws and related membership policies. It is not to be confused with termination for cause or for non-payment of dues. In cases of membership non-renewal/reclassification, the board is not obligated to conduct a formal hearing, beyond extending the opportunity to submit written evidence. However, any member is welcome to attend any SEJ board meeting (at their own expense) and will be accorded reasonable opportunity to be heard on membership issues or other matters. C. Non-payment of dues: Members whose annual dues remain unpaid for longer than one (1) month are no longer considered members in good standing. Dues-delinquent members may continue to receive certain mailings and be carried on the books as members, but may be precluded from full participation in certain SEJ activities and privileges, including but not limited to voting in elections, receipt of the SEJournal, and use of on-line services. After dues are delinquent for one year, SEJ staff shall drop the member from the membership rolls. D. Non-member applicants: New applicants to SEJ may appeal membership committee decisions to the SEJ Board of Directors, in writing, within 60 days of notice of the membership decision. The SEJ board will consider that submission at the subsequent board meeting, if possible, but no later than the second board meeting following the date of the original membership decision. As with non-renewal/reclassification of membership (see Section VII.B. ), reviewing a new applicant is an administrative action and the board is not obligated to conduct a formal hearing when considering appeals from new applicants. E. Retired members retain the membership status held at the time of their retirement so long as they do not do public relations or lobbying work related to environmental issues. F. The SEJ board retains full authority to determine an individual’s eligibility for membership.